Why should you learn how to use a diaphragm call? It’s because these simple tools can help make realistic animal sounds to lure your prey. Most hunters use this to make turkey and elk calls. Although it requires some practice to get the tones right, it’s hands-free, cost-effective and easy to use. There’s just one precaution – do not use a diaphragm call if you are allergic to latex. This won’t require any rocket science but will take practice to produce perfectly imitated calls. With the open-end facing out, place the Diaphragm call in your mouth. That means the curved side should be facing you, and the reed side outwards. Push the diaphragm call to the roof of your mouth using your tongue. It should fit without bending the frame. Otherwise, pull it out and trim some of the tape on the sides to get the perfect fit. Now to make a basic yelp, hold the call with your tongue. Exhale in such a way that you force the air to go between the diaphragm call and your tongue. You can do this by exhaling with the letter ‘H’. To produce higher tones, press your tongue harder to the diaphragm call. Do the opposite and you’ll produce lower tones. There are literally hundreds of different brands and options for diaphragm calls in the market. Each can vary in latex thickness, configuration and size. Alternatively, you can make your own diaphragm call. Again, if you have allergies with latex, DO NOT MAKE or USE THIS. 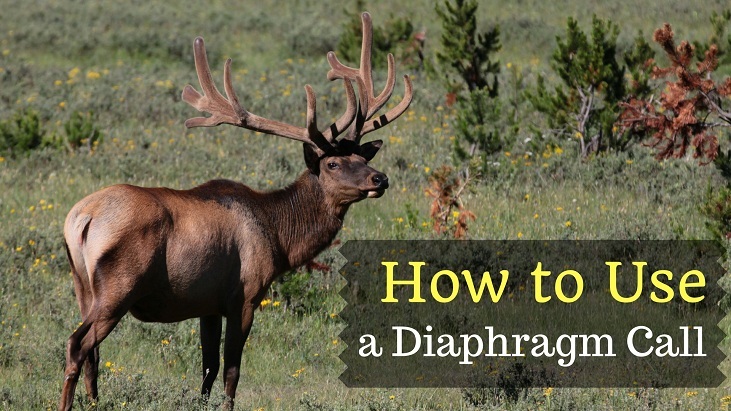 To mimic animal sounds, you need to learn how to control tones with your diaphragm call. For the basic Turkey yelp, it’s composed of a long high tone + short low tone. Apply some pressure on the reed to produce a high tone. Then move off the pressure to produce a low tone. You can either do this with removing your tongue from the call or opening your mouth. ​The high tone should last about 2 seconds and blend with the low tone. Repeat this about 5 to 15 times to create yelp series. This is often what hen and gobblers use when they are ready for mating. The cluck call is used by turkey when they communicate with other birds. It’s often consists of 3 notes. With the diaphragm call inside your mouth, clinch your teeth together. Say the word “putt” as you exhale. Do this about 2-3 times to create a series of clucking sounds. The kee kee sound is often used by birds calling out to their flock to regroup. You’ll often hear this during fall season. Using the diaphragm call in your mouth, apply pressure on it with your tongue to make a high pitched call. Repeat about 2-4 times, then follow it with 2 yelp calls. How to Make an Elk Bugle CallThis is the most common elk sound you’ll hear, and it’s usually a call for dominance or gathering. This sound starts off with a low note, then transitions into a high call that lasts about 2-3 seconds, then drops off with a low note. With the diaphragm call fitted in your mouth, start by applying minimal pressure on the reed. Exhale into it for the short low note. With the diaphragm call in your mouth, apply pressure to the mouth reed and exhale to produce ‘eeee’ sound. Mews are similar to a cow chirp, but only longer in duration. It’s high pitched and should sound like ‘eeeeeuuhhh’. To elks, this is usually heard when a calf is calling or crying for someone from the herd. Often after making mew calls, it’s a cow elk that comes along. Although they may know it’s not their calf, cow elks tend to calls of any lost calves. Using the diaphragm call in your mouth, apply pressure on the reed and breathe air into it to make a high pitch sound. Make it at least 3-5 series of high pitch mews with varying volume, as if you’re a lost calf. Did this tutorial help you out? 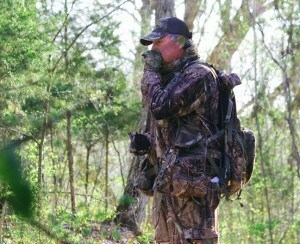 Hunters like us find that diaphragm calls are the most effective tools to make you a good caller. Although there are other calls like open reeds and grunt tubes, mouth reeds are allow you to make calls hands-free, which mean you make aim as soon as you see any movement. Have any questions or tips? Please Let us know in the comments.